Awarded Most Efficient by EnergyStar, this best in class modulating gas furnace provides superior comfort and smart temperature control. Bryant’s innovative heating technology is proven in the market and installed by our experienced professionals. AFUE up to 98.3% efficient. Precise modulation ensures you only use the gas you need to maintain your desired temperature. The furnace continuously adjusts in 1 degree increments to maintain it. Combined with the communicating technology inside, this gives you the highest energy efficiency plus the greatest comfort. The 987m gas furnace is even better with the Connex thermostat for more precise temperature control. Comfort is at your fingertips with an easy to use thermostat that can communicate with and manage your whole comfort system. Manage humidity, ventilation, zoning and coordinate between components of your heating and air conditioning system for maximum efficiency. User friendly, the touch screen design has intelligent energy management features, but is easy to read, and doesn’t require an advanced degree to figure out. Furnace cabinet is insulated for even quieter operation. A great warranty lets you enjoy your comfort with confidence. Bryant builds trusted reliability into every product then provides additional peace of mind with excellent warranty protection. 10-year standard parts limited warranty and limited lifetime heat exchanger warranty must be registered within 90 days of installation through Bryant. Ask your Washington Energy Services representative for details. Why is it important to have an expert come to my home and determine the right size furnace for my home? 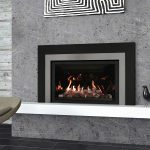 Every home is unique and selecting the right sized gas furnace for yours is important. Having the wrong size gas furnace will reduce its life expectancy, cause it to run inefficiently and affect your overall comfort. For instance, a furnace that is too small will not heat your home completely on cold days causing it to work harder than it should. A furnace that is too large will go into short cycle, meaning it will turn on and off too frequently. Either instance will shorten the lifespan of the furnace. That is why our Home Energy Specialist will examine your specific home and perform calculations to determine the best solution for your individual home. These calculations are not just best practices they are part of the Washington State Code. Call or fill out the free estimate form to schedule your free in-home estimate. 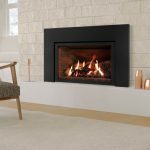 Why should I consider a modulating furnace? If comfort matters to you, consider the modulating furnace. This furnace technology keeps your temperatures even, giving you consistent warmth beyond what a conventional one or two stage furnace can do. The secret is that the modulating gas furnace doesn’t have on and off times. It sees the temperature you desire and keeps running, even at very low levels, to maintain it. While you might think that a furnace being on all the time would waste gas, it’s actually much more efficient than a traditional one or two stage furnace. A furnace that shuts off has a lot more heating to do when it comes on again than one that’s been on in low the whole time. Plus it’s much more comfortable for you. Yes, they do cost a little more, but as the saying goes, you’re worth it. What are common signs or reasons that my furnace may need to be replaced? The average life expectancy of furnaces in homes today are roughly between 16-20 years. Your furnace may still be running after this time but not very efficiently and thus using more energy and costing you money. In addition, your furnace can decide to call it quits any day leaving you with no heat. Other common signs are strange noises such as popping, banging, rattling or squealing furnace noises. If you hear your blower turn on excessively or blow cold air out at times, that is a good signal that you should consider looking into replacing your furnace. What are some advantages in converting to a gas furnace? If you have oil, converting to a gas furnace will eliminate the need to refill or maintain large storage tanks in your home. Beyond saving substantially on the cost of your fuel, converting from oil to natural gas can reduce your carbon-foot print if used appropriately. The price of natural gas typically fluctuates with seasonal increases or decreases but a high efficiency gas furnace can cost less to operate than an electric alternative. Why does my old furnace create an unpleasant odor when running? Furnaces collect dirt and dust which may be the source of the smell. We recommend annual maintenance and following manufacturer guidelines for filter changes. If this does not solve the problem, you may have a bigger issue requiring a service appointment and furnace repair. Some old furnaces start to act up as a warning that they are about to give out. If you have odors in your home that don’t actually come from the furnace, adding an air purifier in your furnace might be something to look into. We can either add a Guardian Air Phi, air purifier to your existing system or you may want to consider simply replacing your old furnace with an energy efficient furnace. 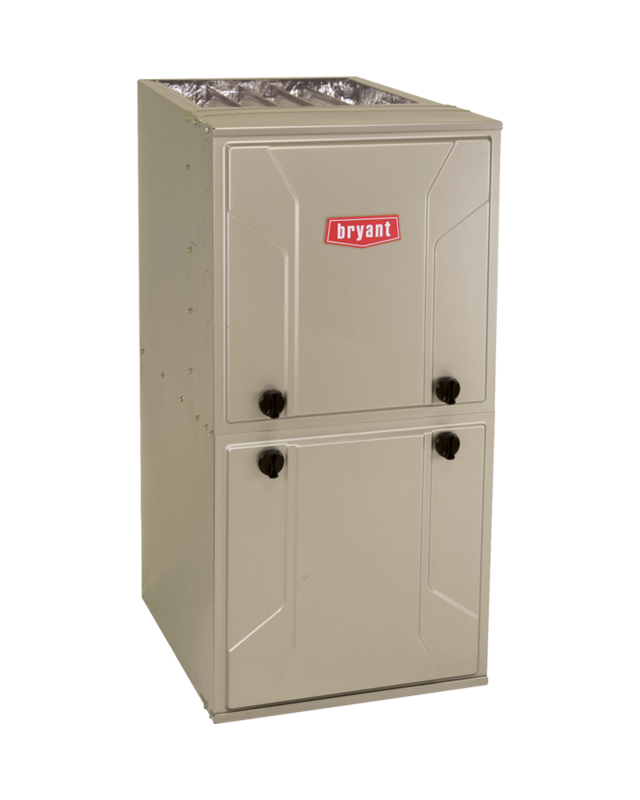 How much does a Bryant Evolution 98% furnace cost? There are several factors that affect your final 98% furnace price and it’s different for every home – not under/over sizing your equipment, venting, gas line upgrades, accessories, local taxes, and eligible utility rebates. 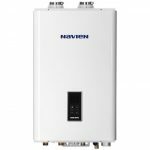 We actively seek all rebates available to get you the lowest price possible, and the Bryant Evolution 98% furnace will qualify for all of them. We only install our furnaces and do not sell them individually. That’s because the quality of the furnace installation is just as important as the quality of the product. We want to absolutely ensure that you have the best experience with your new heating system and that means having it installed by trained and certified professionals. There’s a good chance this will save you serious headache down the road. Our knowledgeable home energy specialists have years of experience on their belt and will provide you with objective advice along with a free estimate. Either fill out the form by clicking the free estimate button above or call us during our office hours and we’ll set you up with an easy no obligation free estimate. That’s our promise. 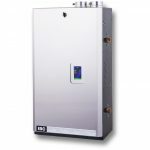 Puget Sound Energy: If you’re a current PSE residential electric customer and live within a natural gas service area, switching your space and water heating to affordable, reliable natural gas could earn you a rebate of up to $3,550.